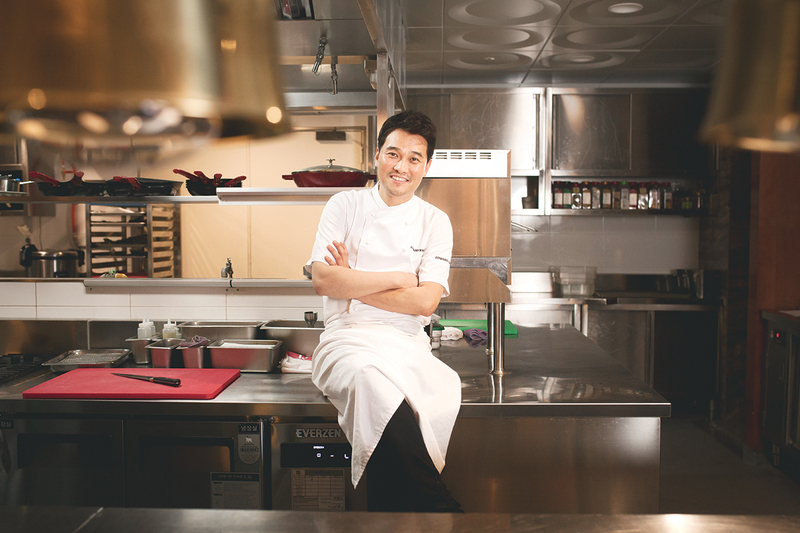 There are very few Korean chefs who have been as prominent on both the local and international level as Edward Kwon. He’s one of Korea’s most recognizable chefs, with multiple restaurants, TV shows and guest appearances. He now leads Pyeongchang’s culinary welcome to hundreds of thousands of Olympic visitors. Kwon helped design ten new fusion dishes drawing on local specialties to make dishes that would appeal to a wide range of people, from locals to international travelers and athletes, all while preparing his own new Korean restaurant in Seoul. Pyeongchang is more than just an Olympic venue to Chef Kwon. Born in Yeongwol and raised in Gangneung, he knows the area well. The dishes themselves display Chef Kwon’s international training and creativity, turning local buckwheat noodles into a pasta, bibimbap into a delicately plated salad, and chocolate, cheese and citrus meld into the guise of one of Gangwon-do’s famous potatoes. Chef Kwon has a new venue for showing off more traditional Korean food, though, in his new restaurant, Elements. 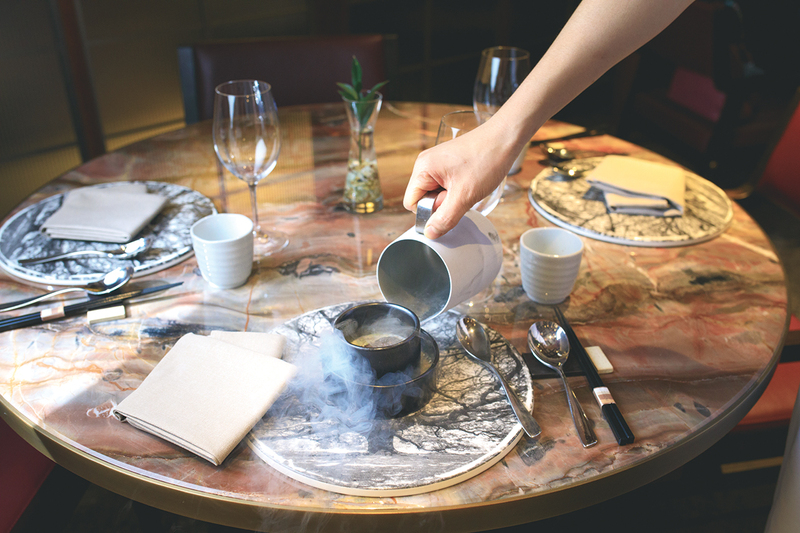 Located adjacent to his French restaurant LAB XXIV, Elements serves set menus with remarkable polish and clever twists that still hew to their Korean origins. 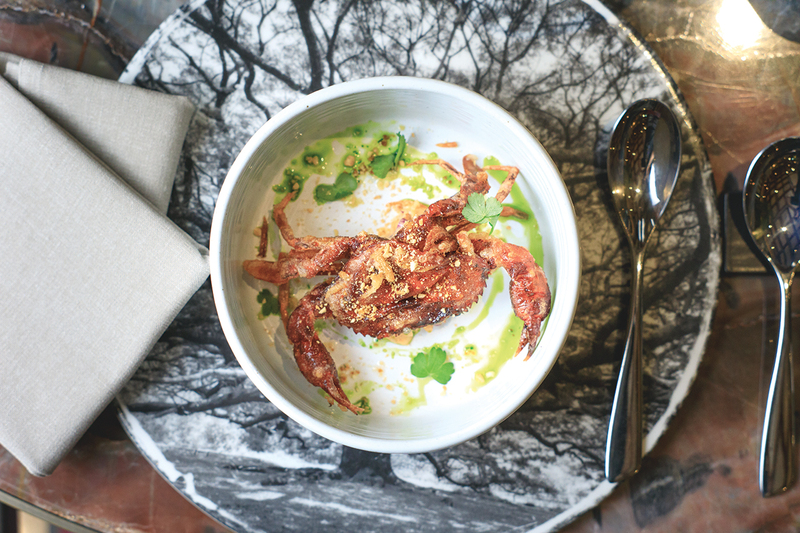 Soft shell crabs from Jeju are fried and plated with water parsley oil and a South Asian-tinged coleslaw. Rice and soup share space with delicate, briny pollock roe dressed with sesame oil but also with a mild, fresh tomato kimchi, while a silky savory egg custard enrobes meltingly soft abalone. While the restaurant caters to a broad range of customers, including solo diners, private rooms are available for groups to enjoy Korean barbecue grilled for them by one of the chefs. Despite the luxurious setting inside the Le Meridien hotel in Gangnam, Kwon made sure to keep the independent restaurant’s prices extremely reasonable.